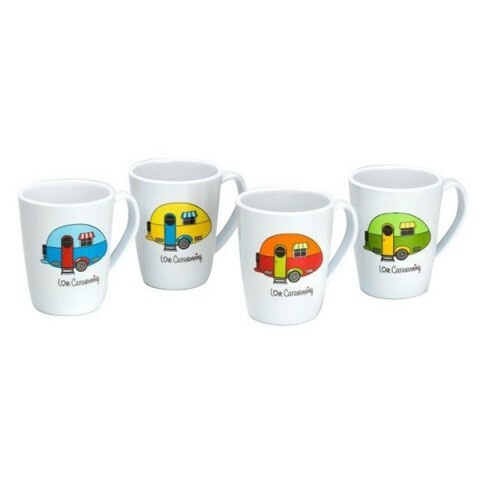 The Love Caravanning white mug set would make the perfect addition to a family camping or caravanning holiday. Consisting of 4 mugs with a generous 350ml capacity, they are perfect for providing you with a hot beverage whilst relaxing in the great outdoors. With its vintage caravan inspired design and its 100% melamine construction, the set is of a high quality and is designed to last. For your convenience and to ensure that no mishaps can ruin the outdoor experience, the mugs are also completely break resistant and dishwasher safe.